65 images. Students building Floats. 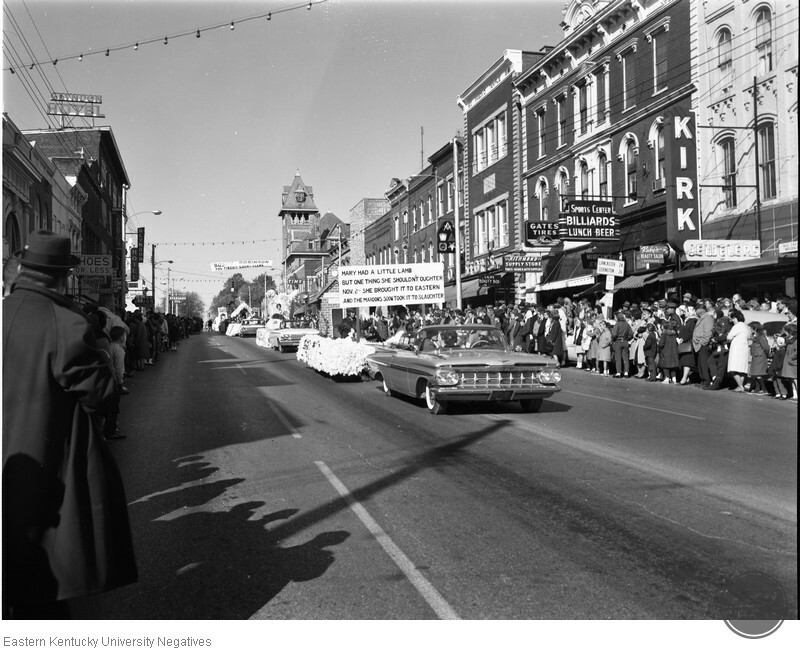 Homecoming parade on university drive and Main St. Crowning of the King and Queen and Homecoming Court on Hagger Field. Homecoming dance in Keen Johnson Building. unknown, “Eastern Homecoming,” Digital Collections, accessed April 22, 2019, https://digitalcollections.eku.edu/items/show/46564.